Our committed and compassionate hospice team will respond quickly to our patients, families or caregivers 24 hours a day, seven days a week. We customize services to fit the individual needs of our patients. Call or email our intake nurses if you have questions about receiving hospice care. 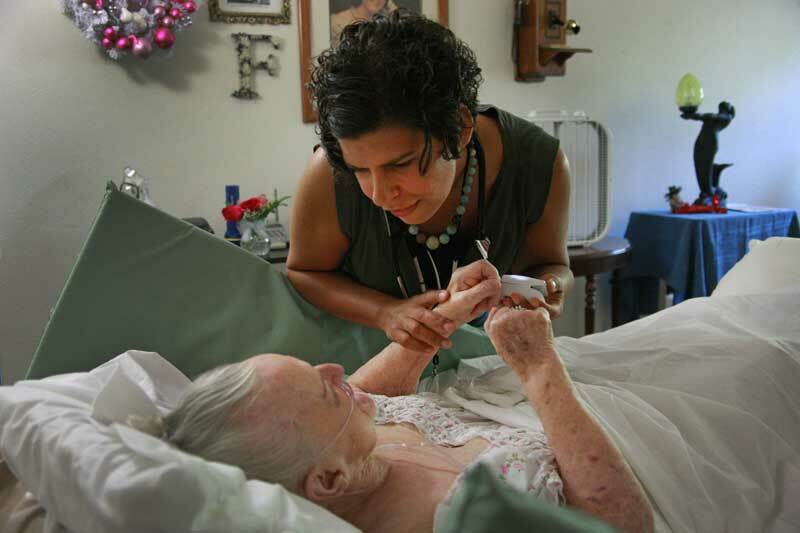 We provide hospice in home care to patients who would like to remain in their homes for end-of-life care. We work with the patient’s primary care provider (PCP) to enable our patients to have an aware, pain-free life while living each day to the fullest. Our hospice team includes a registered nurse who manages the hospice team, a social worker, certified nursing assistant and a chaplain. If the caregiver needs some respite, we also have trained volunteers available for support. Hospice focuses on comfort and quality of life rather than cure, and is designed to provide support during life’s final transition. Our interdisciplinary team works to develop an integrated plan of care that fully involves the patient, family and caregivers so that all feel honored, cared for and respected. Exclusively endorsed by Senator Wyden for excellence in medical care at home. What Type of Care and Support Should I Expect as a Patient? Click on the video below to find out why the Housecall Providers Hospice care team is so respected and valued within the Portland community. Hospice care is covered 100% by Medicare and Medicaid. Some private insurances may require a copay or coinsurance. No one will be declined hospice care due to financial hardship. Call our office to find out more. What Is The Service Area for Hospice Home Care? Housecall Providers Hospice offers medical in home care for hospice patients in Multnomah, Washington, and Clackamas counties.